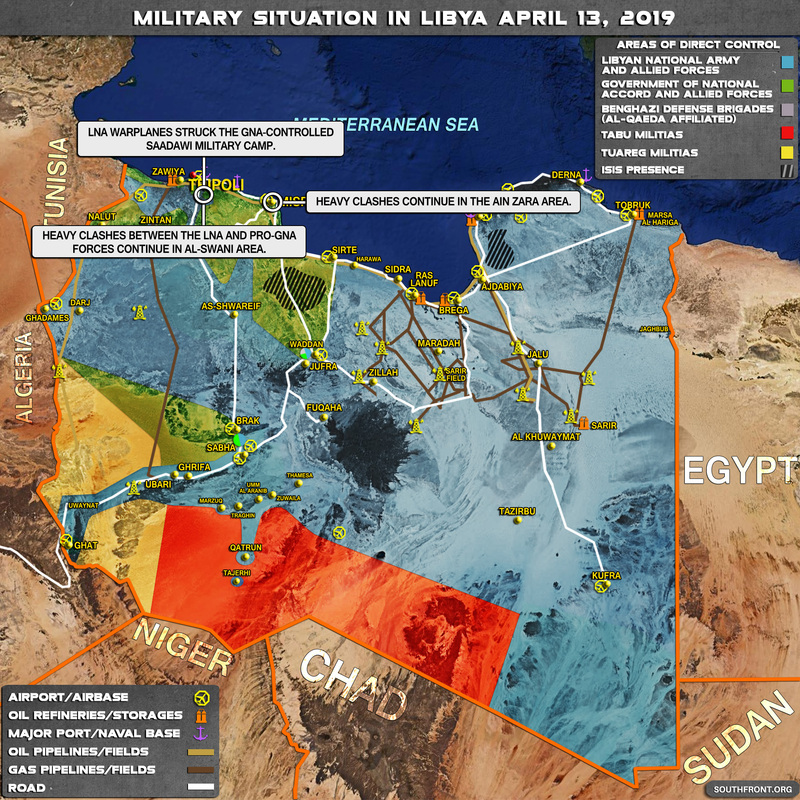 Military Situation In Libya On April 13, 2019 (Map Update) 4 out of 5 based on 4 ratings. 4 user reviews. Warplanes of the Libyan National Army (LNA) struck the GNA-controlled Saadawi military camp. Misrata residents protests against France’s support to LNA Leader Halifa Haftar. Heavy clashes between the LNA and pro-GNA forces continue in the al-Swani area.